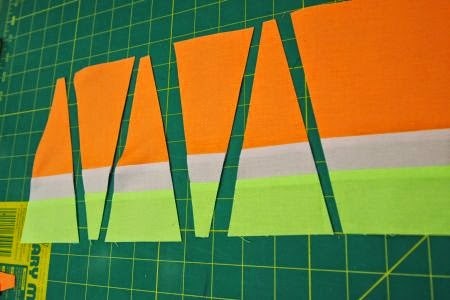 52 Quilts in 52 Weeks: Not Quite Ready for Primetime! 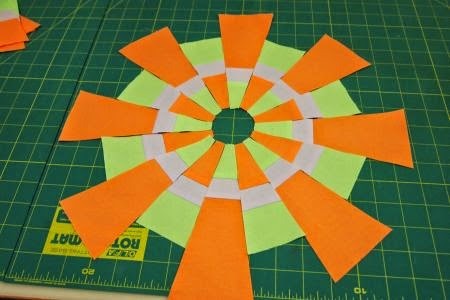 I know I promised a Bloc_Loc Bloomin' Cogwheels tutorial for today! But I had a little trouble figuring out how to use the rulers . . . 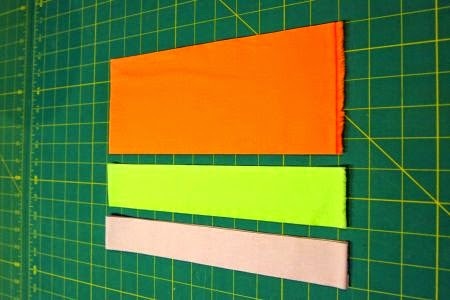 Using the ruler to cut the strata was easy. But I forgot about a background! I don't want to applique down the cogwheels! 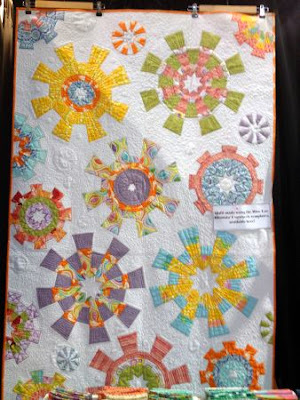 Thank you, Janna and Chrystal for sending me a preview of the Bloomin' Cogwheels recipe book! And I will write a complete tutorial when I get the book. very tricky! I'm sure the book is going to help!